America has added over a million new jobs so far in 2015. 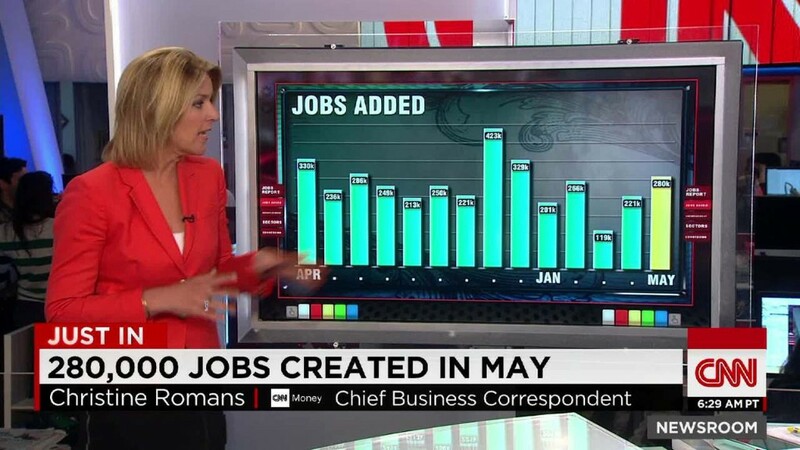 In a good sign for people looking for work, the U.S. economy gained 280,000 jobs in May. Economists surveyed by CNNMoney projected there would only be 222,000 jobs gains. The unemployment rate ticked up slightly in May to 5.5%, according to the Labor Department. That increase is a sign that more people returned to look for work in May, economists say. "It's a strong report, stronger than we had expected," says Jesse Hurwitz, senior economist at Barclays. "The U.S. labor market strength remains very much in tact." Related: What's the state of opportunity in America? 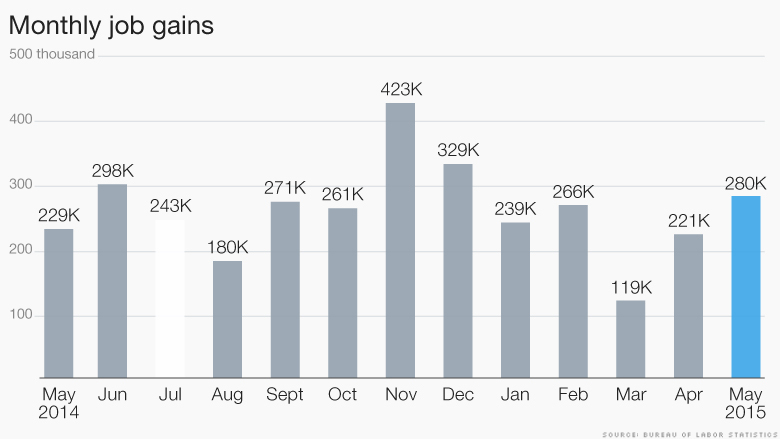 May's jobs report is welcome news after the winter slowdown. The economy actually contracted in the first three months of this year, sparking concerns that hiring would taper off. Show me the wage growth: On Thursday, the International Monetary Fund expressed concern over the U.S. job market, especially how worker pay isn't going up much. Wages grew only 2.3% in May, well below the 3.5% wage growth the Federal Reserve wants to see. Still, that beat expectations in May and is the highest level in nearly two years. Wages remain the last major economic measure to turn the corner and make significant progress. "Employers recognize that in order to attract skilled workers, they need to increase wages," says Sharon Stark, managing director at D.A. Davidson. May's job gains are a good omen for wage growth. Many experts say that pay should pick up as it gets harder and harder to find workers. March was the worst month of job growth this year, but the Labor Department revised up March's job gains from 85,000 to 119,000 on Friday. April's job gains were revised down slightly to 221,000. May brings more high quality jobs: Job gains were across the board in May too. A number of high-quality job areas made meaningful progress. 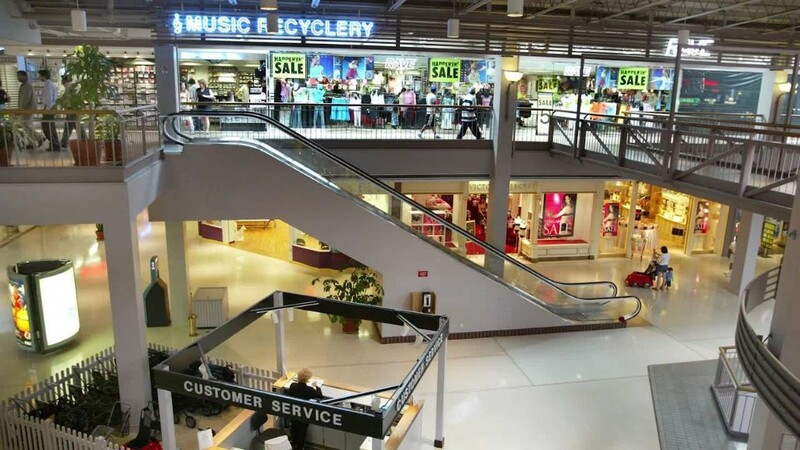 In fact, service-sector job growth so far this year has outpaced the gains from the same time last year, according to Luke Tilley, chief economist at Wilmington Trust Investment Advisors in Delaware. Health care increased by 47,000 jobs, while business services -- which includes marketing and accounting jobs -- gained 63,000 jobs. Construction also had a good month, adding 17,000 new jobs, according to the Labor Department. The one drag is energy companies. They continued to slash jobs due to low gas and oil prices. Mining and drilling jobs dropped by 17,000 in May -- the fifth consecutive month of energy job losses. But overall, the job market made strong gains. It's timely progress for the economy as the Federal Reserve board meets on June 17. The Fed is widely expected not to raise its main interest rate in June, but Fed Chair Janet Yellen will speak to the press and offer her outlook on the economy. If conditions continue to improve, interest rates could rise for the first time in about a decade -- another healthy sign for America's economy. "The evidence in the May report shows that the economy continues to be on the right track," U.S. Labor Secretary Tom Perez told CNNMoney.